Cats Are Amazing Pets. But They Also Have A Wild Side. Which Is Why Cats That Look Like Leopards And Other Wild Big Cat Breeds Can Be So Appealing. 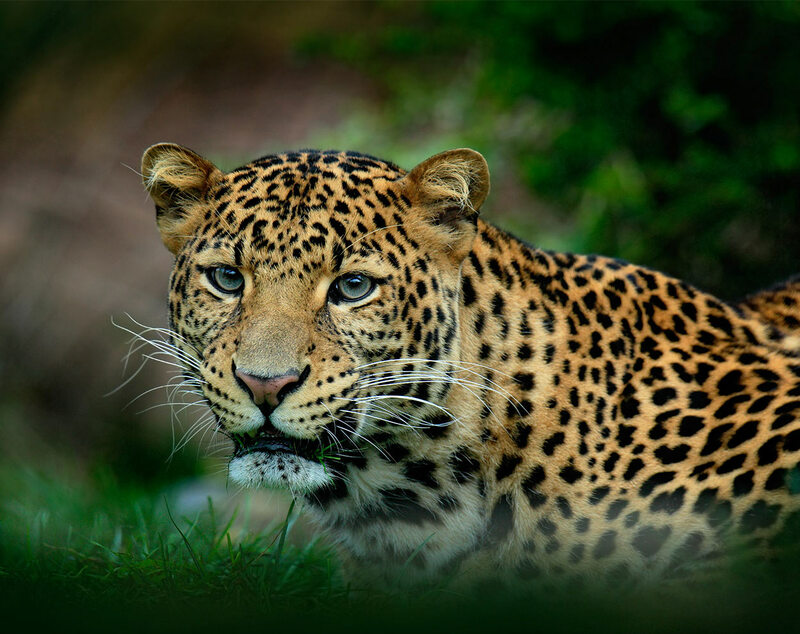 In This Guide We Take A Look At 12 Amazing Cats That Look Like Leopards And Other Big Cats, And Find Out A Bit About The Wild Breeds They Mirror. People have been fascinated by cats for at least the last 10,000 years. In 2004, researchers discovered an ancient tomb on the eastern Mediterranean island of Cyprus. Inside the tomb, the archeologists found a buried human….and a buried cat. The cat was an early wildcat (Felis silvestris), and it couldn’t have been native to Cyprus, because no cats lived on the island. What this tells us is that this particular human had a special bond with that particular cat, which probably looked a lot like a mini leopard cat! Fast forward 10,000 years, and we still love the idea of living side by side with a leopard house cat of our very own! 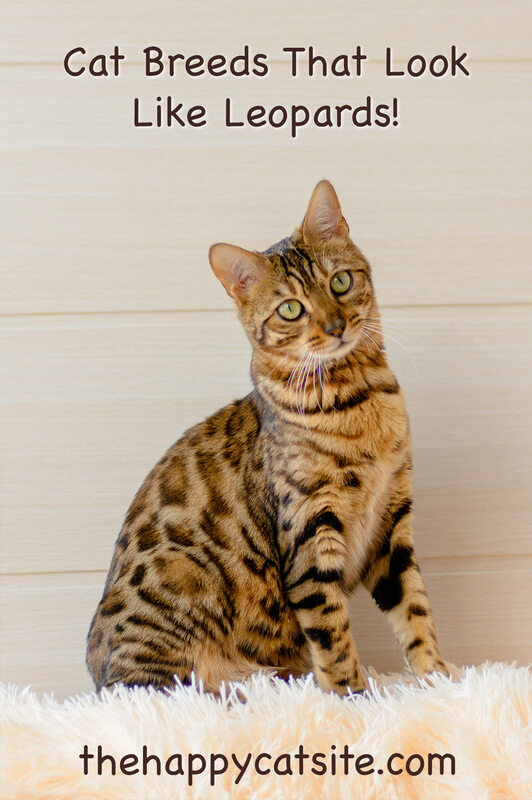 Read on to meet some amazing leopard looking cat breeds that make great pet cats! So why would anyone want to cohabitate with cats that look like leopards? Or other big cat style breeds, for that matter? Here, it might make more sense to ask why wouldn’t you want this? How cool would it be to have a leopard looking cat padding around your casa, stalking toy mice in your living room and purring on your pillow every night! After all, the only other option would be to have a real leopard prowling the perimeters of your home, which is not only illegal in many states but could also be dangerous! Just imagine if, the next time you had a dinner party, invited guests were treated to the sight of a Bengal leopard cat walking casually through your kitchen. And just think of how much fun you could have debating the best leopard names for cats across the dinner table! The good news here is, you absolutely can live with a leopard house cat of your very own. We are about to introduce you to 12 of the coolest, wildest looking leopard like cat breeds that are totally domesticated! Before we dive into exploring each cool domestic cat with leopard spots, let’s meet the wild cats that inspired each! Here, unless you paid really close attention in biology class (or you volunteer at your local zoo), you may not have a current working knowledge of wild cat breeds, even if you recognize the species names. So let’s take a moment and meet the wild cats that are responsible for our love of wild-looking pet cats! These big wild cats have influenced the small leopard cat pet breeds you are about to meet! These gorgeous endangered big wild cats set the standard for what people think of when they think of a wild cat. A wild leopard cat can have one of two coat colors. In certain cases, a rare genetic mutation called “melanism” will create an all-black leopard. In this case, the leopard will be called a black panther. The leopard markings that are most recognizable include beautiful round black rosette markings set against an orange-cream background of short fur. Despite the nearly identical name, the endangered Snow Leopard is actually not that closely related to Asian Leopard or any of the other big cats in the Panthera genus! Also, the Snow Leopard is the only big wild cat that can’t produce a full roar or a full purr. Their sound is known as “chuffing” and it can best be described as a softer roar or a louder purr. 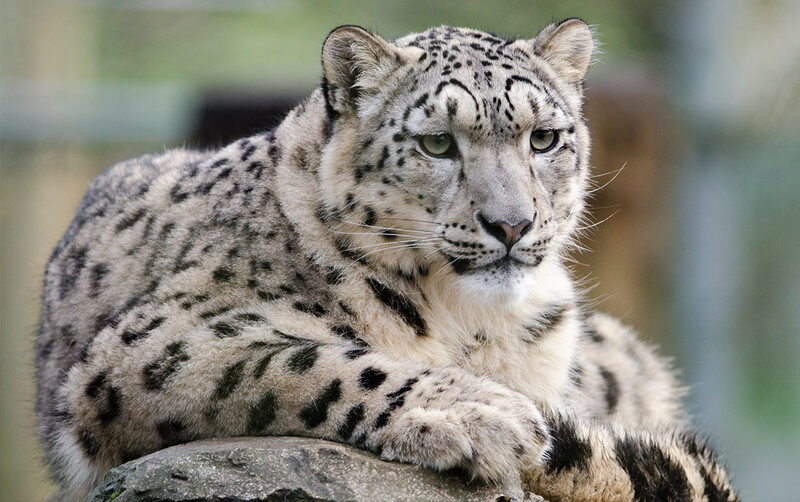 Snow Leopards, as befits their chilly homes high up in the mountains of Asia, sport long, thick, woolly fur featuring grey-black rosette markings against a grey or white background of medium length fur. They also have really thick, furry tails. The endangered tiger is practically iconic in modern culture, being as recognizable as some pop celebrities! 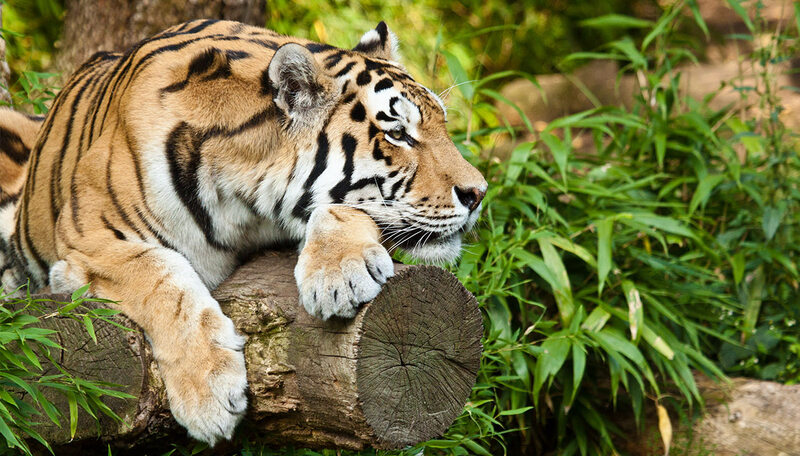 The tiger is also largest and strongest big cat, and arguably the fiercest looking with its black stripes dramatically set against an orange-cream or white background of short body fur with a longer ruff around the face. The beautiful endangered jaguar is sufficiently large in size that only the lion and tiger can outweigh it. 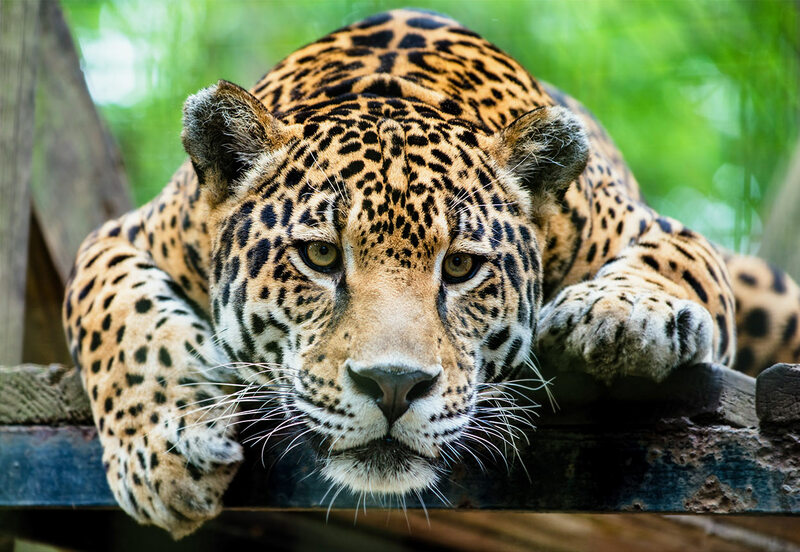 The jaguar’s fur is highly recognizable, with its neat and orderly rows of black rosettes set against a yellow or reddish-orange and cream or white background of short fur. And The Smaller Big Cats! 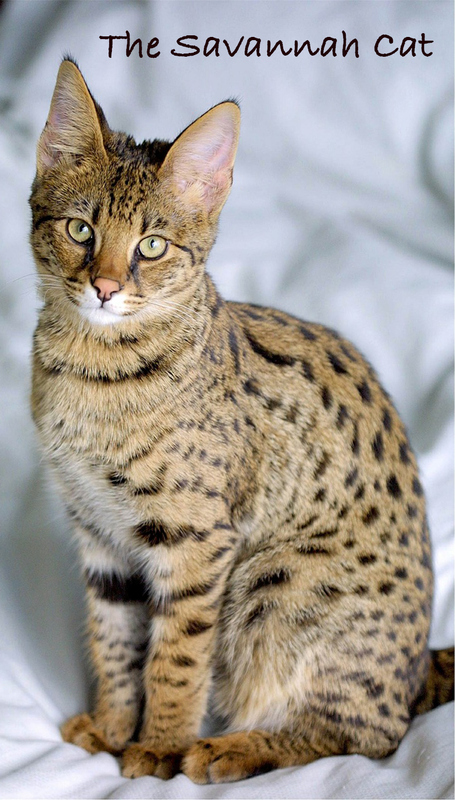 These small wild cats have influenced the small leopard cat pet breeds you are about to meet! 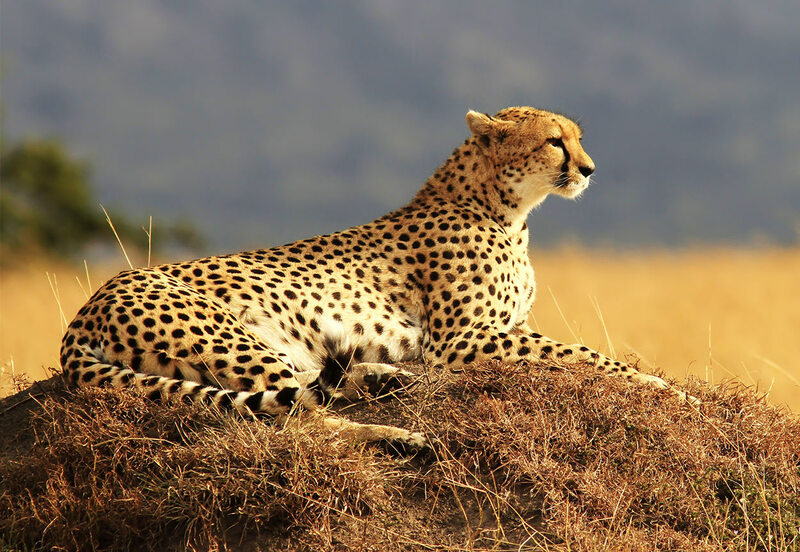 The endangered Cheetah is the most primitive of all small wild cats. It is also the speediest cat on the planet, but it can’t climb trees. Interestingly, there have been cases where wild Cheetahs have been tamed and trained to hunt with humans. The Cheetah is a long, lean cat with black spots against a background of creamy short fur. 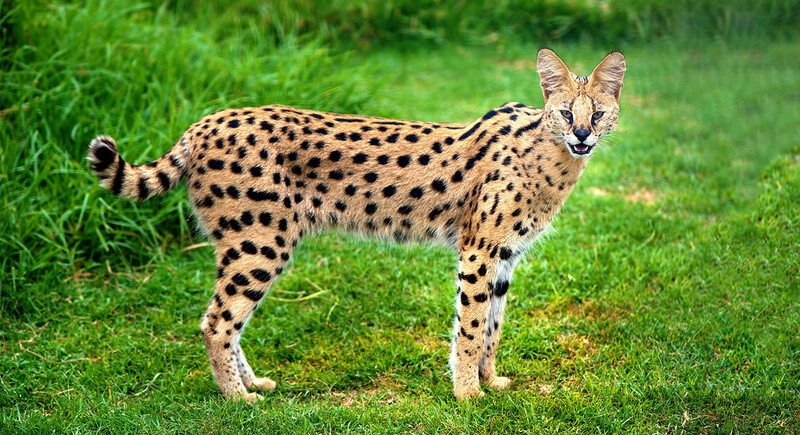 The endangered Serval is best characterized by its amazingly huge close-set ears. This long-legged cat typically sports a sparse black pattern against its orange-light brown fur coat and sports a distinctive black-tipped tail. There have been cases where Servals have been kept as pets, but this type of illegal trade is one reason these cats are now endangered. Sometimes the bobcat is called a “red lynx” due to its lynx-like tufted ears and rusty-brown coat patterned with black stripes. The bobcat can look remarkably like a domestic cat, and is often cited as the originator of today’s demand for breeds of pet domestic cat with leopard spots. Domestic cat that looks like a leopard – the breeds! Now you are going to meet 12 domestic breeds of leopard print cat pets you can share your life with! 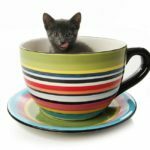 Each one of these cat breeds is a bonafide beauty, unique in its wild appearance yet possessing a familiar and beloved domestic pet cat personality! The Savannah pet cat arose when an African Serval cat was crossed with a domestic cat. They are frequently referred to as cats that look like leopards, and you can see why with their adorable spotty fur. The first litter from such pairings, called F1 Savannah cats, still have too much “wild cat” in them to live happily as domestic pet cats. 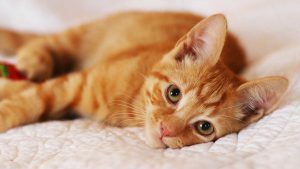 But when breeders pair one F1 parent cat with another domestic cat (or another F1 parent cat), the F2 kittens grow up to be sizable and lovable pet cats. They are smart, curious, great jumpers and are often compared to pet dogs by their besotted owners. 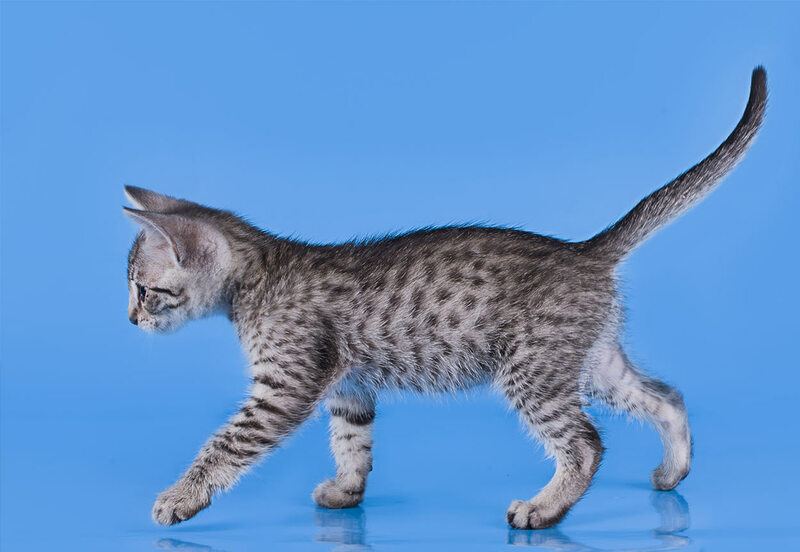 To learn more about the Savannah cat breed, we invite you to read this fascinating article! The Bengal cat is one of the earliest crossbred pet cats, the result of matching an Asian Leopard cat parent with a domestic cat parent. This beautiful Asian leopard cat pet has authentic rosette markings like its wild cat cousins, but its base coat colors can range from delicate silver to a deep tawny orange-rust, meaning these cats often resemble a pet snow leopard cat! These cat s that look like leopards are very smart, observant and quick to pick up on training. They will also happily join in water play and even learn to do tricks! To learn more about the snow leopard Bengal cat breed, why not check out this interesting article! The Ocicat pet cat breed doesn’t have any authentic “wild cat” in her (aside from the ancient genetic origins all modern cats share). 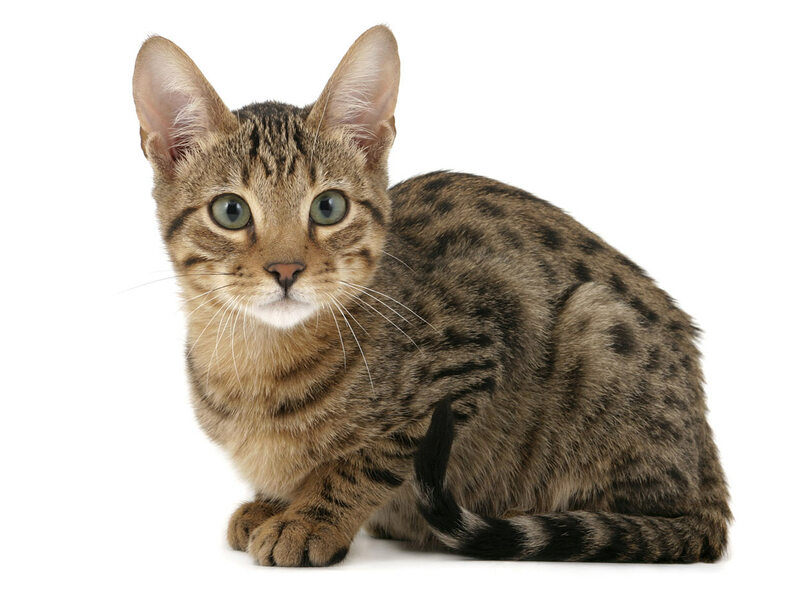 The Ocicat was an oops – the outcome of a breeder’s attempt to obtain kittens with a Siamese-Abyssinian coloration. 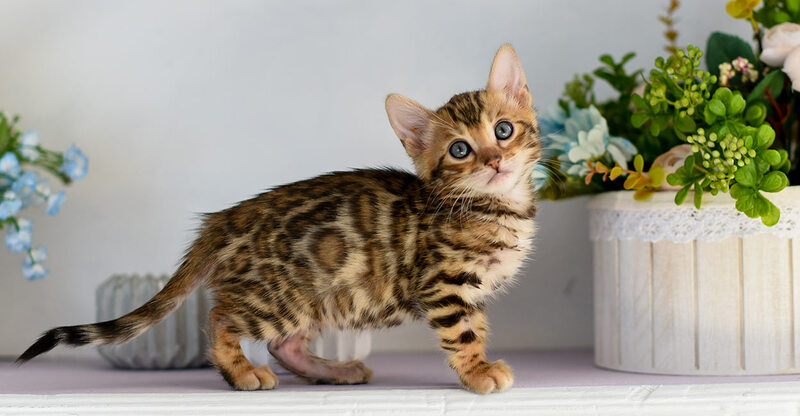 During one attempt, she paired a Siamese cat parent and an Abyssinian cat parent, and later crossed these kittens with an American Shorthair cat…and out popped the first true Ocicat kitten! Ocicats are super social, smart and strong. They make great family cats for families with lots of time to interact! Not to mention being some of the cutest cats that look like leopards around. 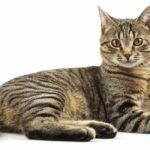 To learn more about the Ocicat cat breed, why not dive into this informative article! The Chausie (“Chow – see”) domestic pet cat is the result of a Jungle cat crossed with a domestic cat. In fact, this cat gets its name its wild parent’s scientific name of Felis chaus! The Chausie cats are more cats that look like cougars than cats that look like leopards. But these petite cougars, with alert, focused gaze and fearless demeanor are every bit the wild cat pet. This is a high energy kitty, full of vim and vigor, who needs lots of exercise and activity to keep him happy. 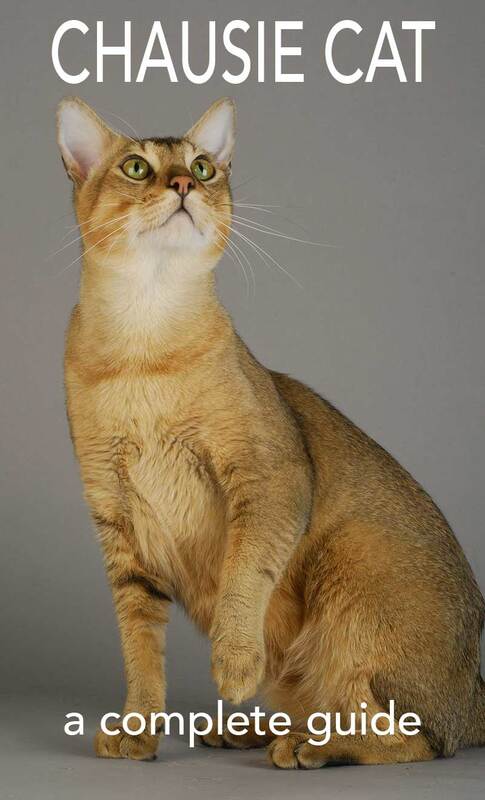 If you’ve ever wanted to own a dog in a cat’s body, the Chausie might be the breed for you! Leash training and water play are high on the list of activities the Chausie cat considers fun! 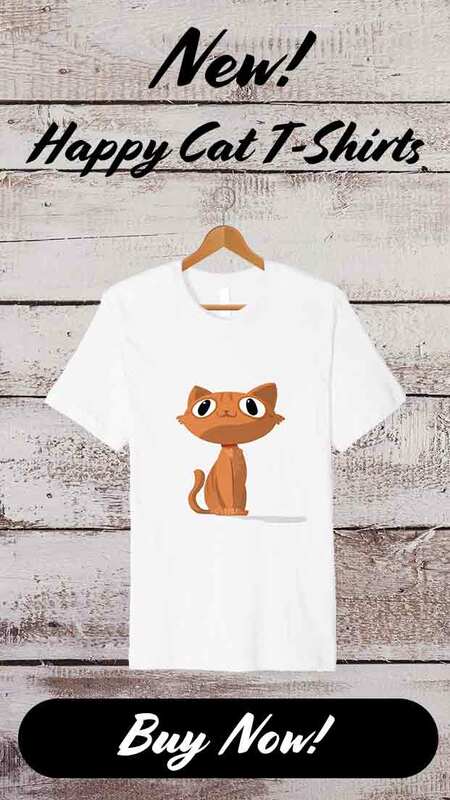 Thinking of bringing a Chausie cat home? You can learn all about them in this article! 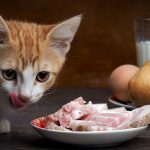 Just how the Abyssinian pet cat first arose is still somewhat mysterious, but it is thought they arose from an unbroken line dating back to small wild cats that roamed the streets of ancient Egypt. The Abyssinian’s long, lithe body and tawny fur makes it a dead ringer for the African wild cat, Felis sylvestris lybica, the same ancient feline ancestor all cats have to thank for their existence today! Aby cats are incredibly smart, loyal, loving and helpful. Wherever you are and whatever you are doing, these cats are convinced they can help! 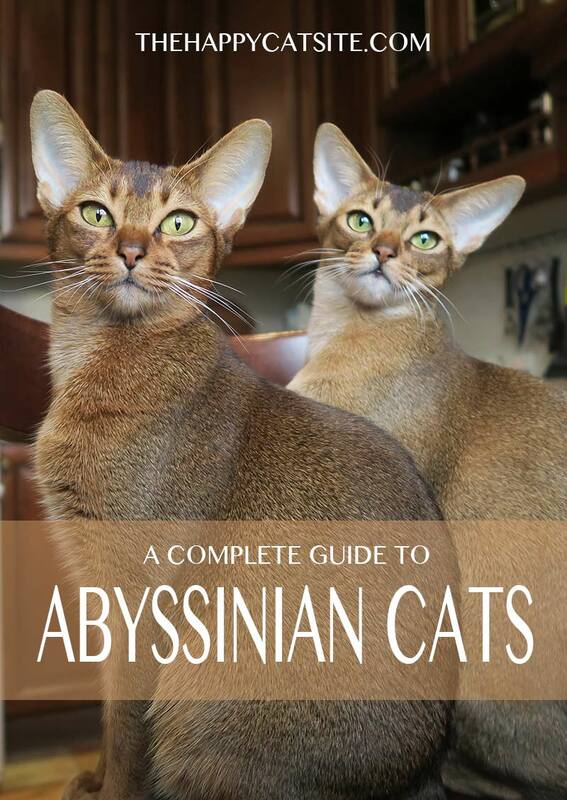 To learn more about the Abyssinian cat breed, check out this fascinating article! The Somali cat is basically a long-haired version of the Abyssinian cat. The Somali owes its thick, luxurious, fox-like coat to an Abyssinian recessive gene, but is quite similar to the Aby in all other ways, including in coat coloration. Although they look like they’d be at home in the wilderness, these cute kitties make good pets for the right homes. They also adore performing, which makes the Somali a highly successful show cat! 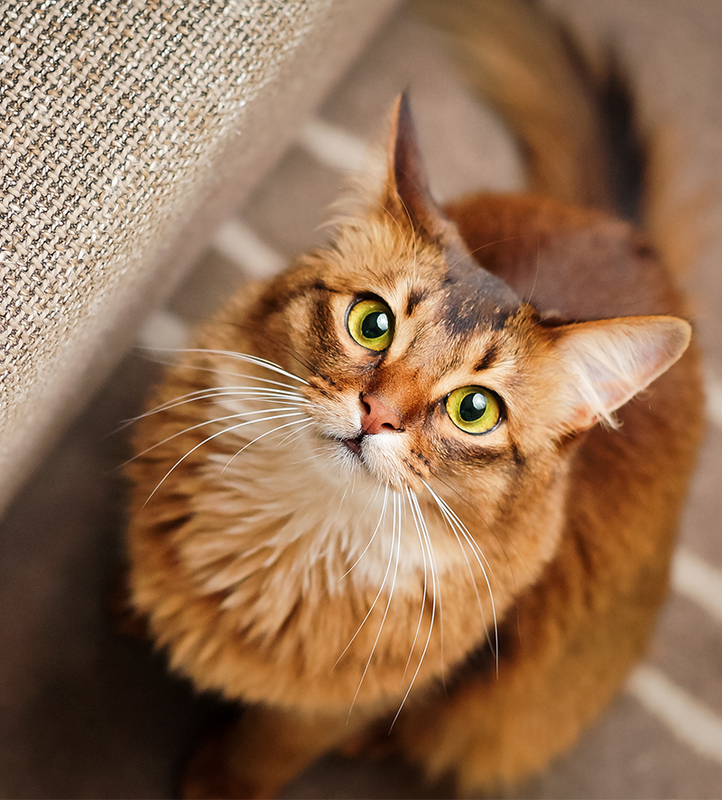 You can find out more about the Somali cat breed in this article! The Cheetoh cat is the result of a Bengal cat crossed with an Ocicat. There can be no doubt that these are cats that look like leopards from even the quickest glance at their amazing coats. However, they get their breed name from their strong resemblance to the wild Cheetah (hence, “Cheet-oh”). Because the Cheetoh is bred from Bengal and Ocicat domestic cats, it stays true to the Asian jungle cat in both its looks and its gait. Cheetoh pet cats are sizable yet very docile and gentle in their nature. They are also very smart. These are true lap cats with strong maternal instincts in both male and females of the breed. You can probably guess from the name which wild big cat this beautiful breed represents. The Toyger cat is a tabby cat extraordinaire – a house cat that looks just like a mini tiger (hence the name – “Toy – ger!”). 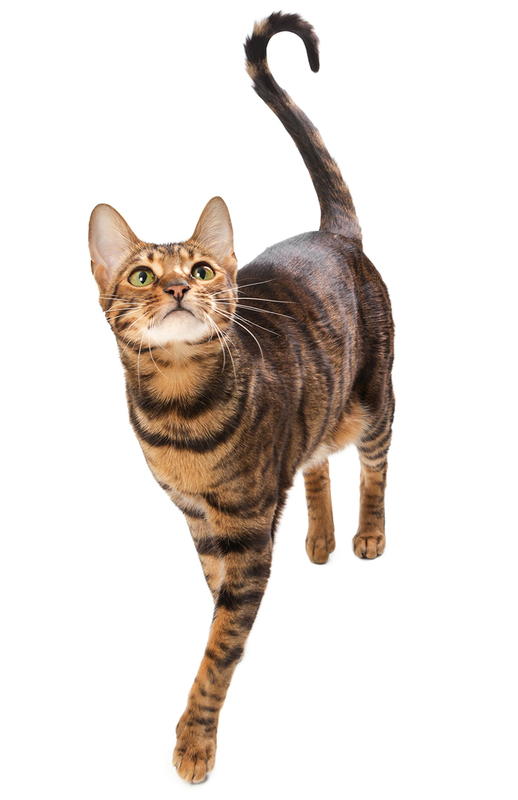 The Toyger cat arose from a Bengal cat crossed with a domestic shorthair cat. These cats are said to capture the best traits of each parent, with a laid-back, loving and interactive nature that makes everyone an automatic new friend. Leash training, learning tricks and assimilating easily into the routine of their new family is a given for this wonderful domestic cat. 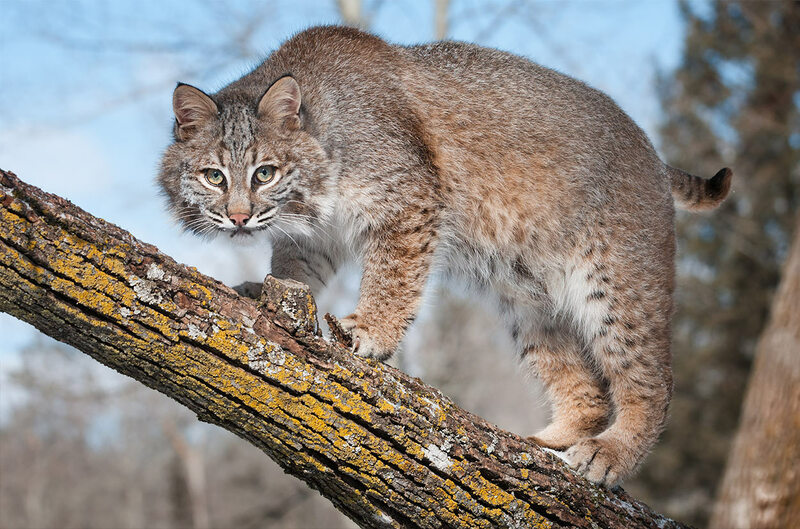 While some enthusiasts like to claim that the Pixie-bob cat is actually descended from the North American Red Coastal bobcat, the truth is that these cats were simply bred to closely resemble the wild Bobcat. 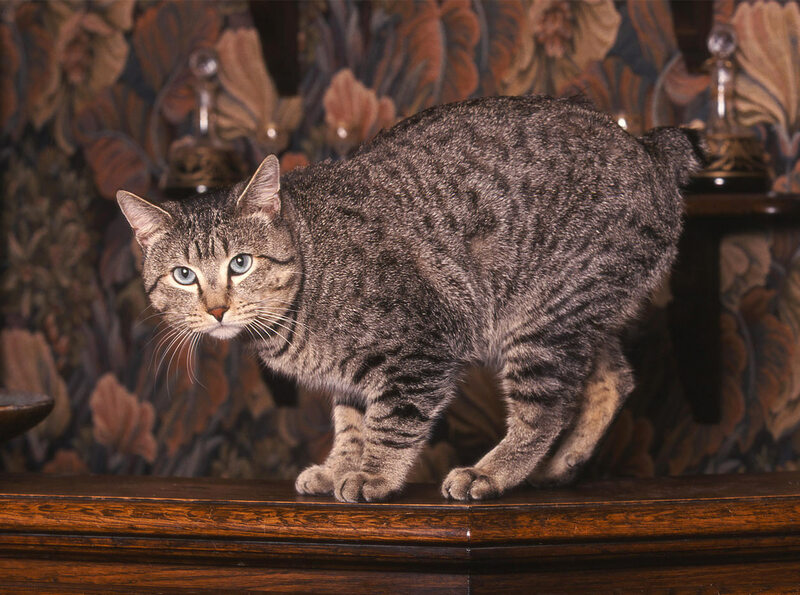 Today’s Pixie-bob breed got its name from the breed’s first mama cat, who was named Pixie. Pixie-bob cats can be polydactyl, which means they have up to seven toes instead of the usual four or five toes. Unlike all other purebred cat breeds, however, this doesn’t disqualify them from being shown! The Pixie-bob domestic cat is a sizeable housecat that can weigh 22 pounds or more. However, they certainly don’t throw their weight around, and are often compared to pet dogs in their eagerness to learn leash walking, plus enjoying interactive games and even playing in the water! 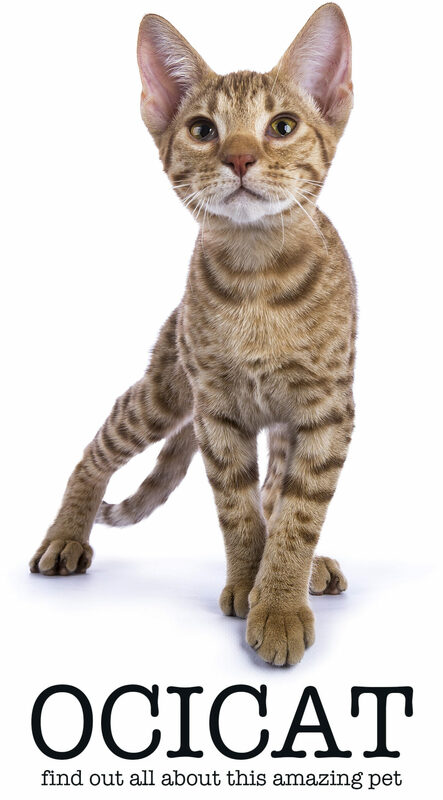 The Serengeti cat comes from a Bengal cat parent crossed with an Oriental Shorthair cat parent. And they really are some of the most distinctive cats that look like leopards around. Karen Sausman of Kingsmark Cattery first registered this wild-appearing domestic cat breed with The International Cat Fanciers Association (TICA). Sausman’s background as a conservation biologist led her to create a cat that looked like a wild Serval as a way to help reduce illegal trafficking in wild Serval cats. These beautiful cats are medium-sized in body and confident and friendly in personality. They are very playful and get along well with other pets as well as kids. As far as cats that look like leopards go, this mix is one that has a lot of potential kitten owners very intrigued. It is thought that today’s Egyptian Mau cat evolved from small Egyptian wild cats as well as the ancient North African wild cat, Felis sylvestris libyca. Their lineage is considered to be pure (i.e. no crossbreeding) and dates all the way back to 4,000 B.C.! They can have striking silver, bronze or smoke-grey coats with black markings. Making them cats that look like leopards, but not just any leopards, snow leopards! The Egyptian Mau cat is very smart and loyal, to the point of fierceness. They tend to bond strongly to one person and are very friendly in a family setting, but somewhat reserved with strangers. The Mokave Jag cat, or “Jag cats” as owners call them, is quite new, having only received its official purebred registry approval in 2005! This striking cat is a cross between a Bobcat, Asian Leopard cat and Jungle cat. They are cats that look like leopards, and even their faces seem more feral. Although the sole breeder of Jag Cats explains that she choose parent cats carefully to ensure her kittens will grow up to be wonderful and loving pet cats! 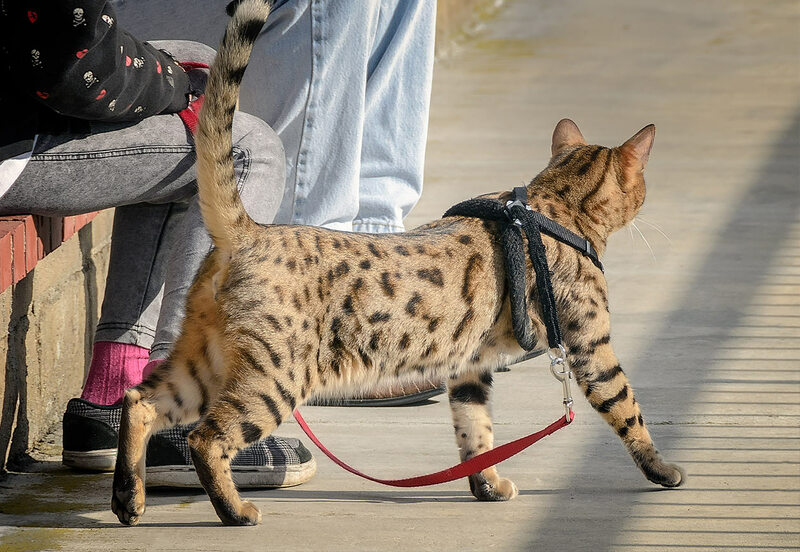 The Mokave Jag cat is as close as you can come to finding an Asian leopard cat for sale. Jag cats are big cats that can reach 20 pounds or heavier. These cats are extremely smart and social, but as a new breed we don’t know a lot about them at the moment. Have you fallen in love with any of these cats that look like leopards? 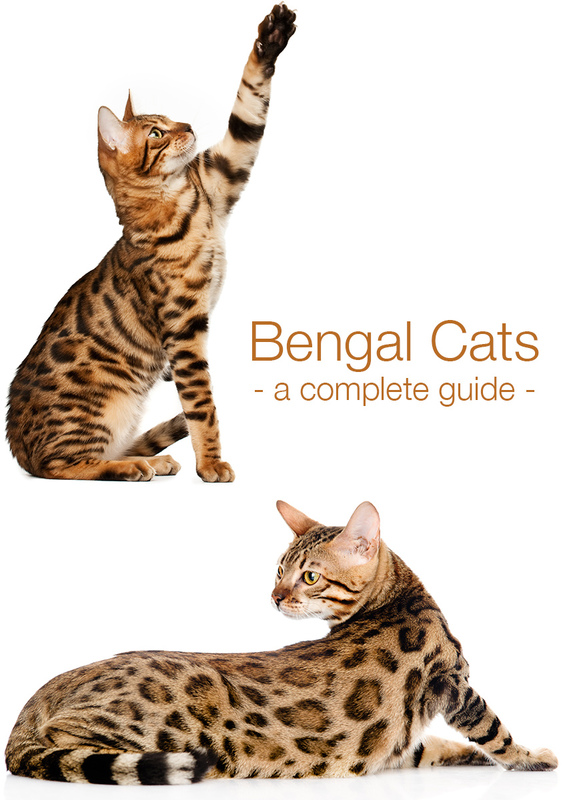 Either waym we hope you have enjoyed reading about all the amazing breeds of domestic cats that look like leopards! Now that you know it is possible to have a house cat with leopard spots you can share your life with, which cat breed would you pick and why? We would love to hear about your favorite leopard looking cat! 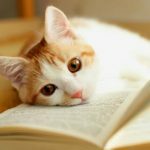 Benson, K., DVM, “Exotic Hybrid Cats and Their Hidden Dangers,” Pet Poison Helpline, 2017. Handwerk, B., “House Cat Origin Traced to Middle Eastern Wildcat Ancestor,” National Geographic, 2007. Lyons, L.A., “Cat Domestication & Breed Development,” Journal of the American Society of Animal Science (ASAS), 2014. Kurushima, J.D., “Variation of Cats under Domestication: Genetic Assignment of Domestic Cats to Breeds and Worldwide Random Bred Populations,” Animal Genetics, National Institutes of Health, 2013. Driscoll, C.A., et al, “The Taming of the Cat,” Scientific American, 2009.